The wedding season is here in all its finery. I love and enjoy weddings because they are full of love, friendships and great memories. If you're the bride-to-be, there are many choices to be made for your special day from the lobola events, outfits, hair, transport, venues, food, décor and gifts. 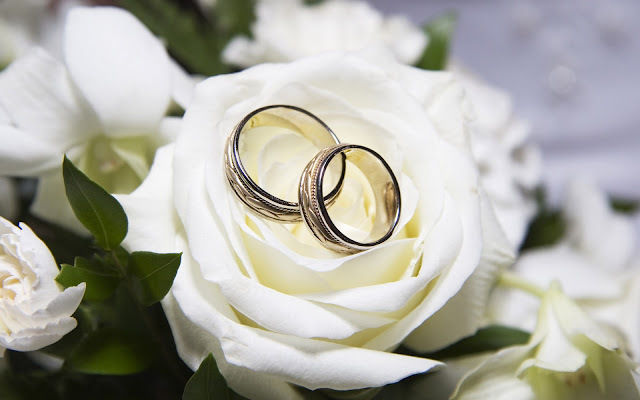 For those black middle-class couples who prefer a hybrid of the traditional and western wedding, it could mean double costs for the wedding celebrations from the engagement to umembeso. We all know weddings aren’t the most budget-friendly events because of the costs associated with them and this usually puts undue pressure on couples and their families. Professional wedding planners, Great Occasions, has revealed that the average cost of a wedding in South Africa is between R70,000 – R80,000 for 80 to 100 people. And the going prices per head (R700 to R800) could easily escalate to R1,500 or R2,000 per person (R200,000 for a wedding). To make sure the sense of joy lasts much longer than the sound of the wedding bells, take charge and make sure you have a clear idea of your wedding budget to ensure you get the most out of your big day. This is, of course, easier said than done. The reality is that weddings generate much excitement among all ethnic groups, religions and age categories, and it’s natural to get a little carried away by the flurry of celebratory traditions and ceremonies. 6 Useful tips for tying the know without taking on debt. Save ahead of time to reduce the financial burden, and get married at a later date, if necessary. “If you take out a loan to pay for lobola, for instance, you will start off your married life carrying debt, which is not advisable. Ideally, marry when you can afford it. There are many savings and investment vehicles suited to long-term goals. Speak to a financial adviser or banker to help you draw up a financial plan and save towards your goals. Keeping it real and setting yourselves realistic goals will help you in the planning process and ensure you both manage your wedding expectations responsibly. Ensure your goals for your wedding celebrations are aligned with your budget. If your goal is to invite 100 people, then make sure you have the budget to cater for them or cut the number. Remember to allow for unforeseen expenses. With all the ululation and excitement come expenses that can be difficult to avoid or control, unless you have a strict budget that you stick to. To stretch your budget, always shop around for the best prices for goods and services, and make sure you check your suppliers’ references and track records. Before you begin your life together, it is crucial to know each other’s credit profiles, particularly if you are planning to be married in community of property. It may save you a lot of pain down the line. Knowing each other’s credit history will also give you some insight into each other’s financial behaviour. Be honest with each other from the onset. Openly discuss your debts, spending habits and ongoing financial responsibilities such as maintenance for children outside the marriage and financial assistance for parents. Failing to disclose responsibilities and debts can erode trust and damage your relationship, so rather play open cards with each other. Discuss and agree on the financial role each one will play to ensure that you stay within your financial means. Will you open a joint account for household finances? Will you keep separate accounts and divide accounts? Remember, couples that plans together, stays together. Remember, you're in charge of how much you spend. You can still have your dream wedding without starting your newly married life in debt. By being smart and thinking outside the box, you can finance the best day of your life all while staying within a budget. What are some of your tips for keeping wedding costs down?